In less than one month, science teams will begin descending upon the NASA Armstrong Flight Research Center in Palmdale, California to prepare for an ambitious project that will nearly circumnavigate the globe collecting measurements of greenhouse gases, reactive gases and atmospheric aerosols from NASA DC-8 aircraft. 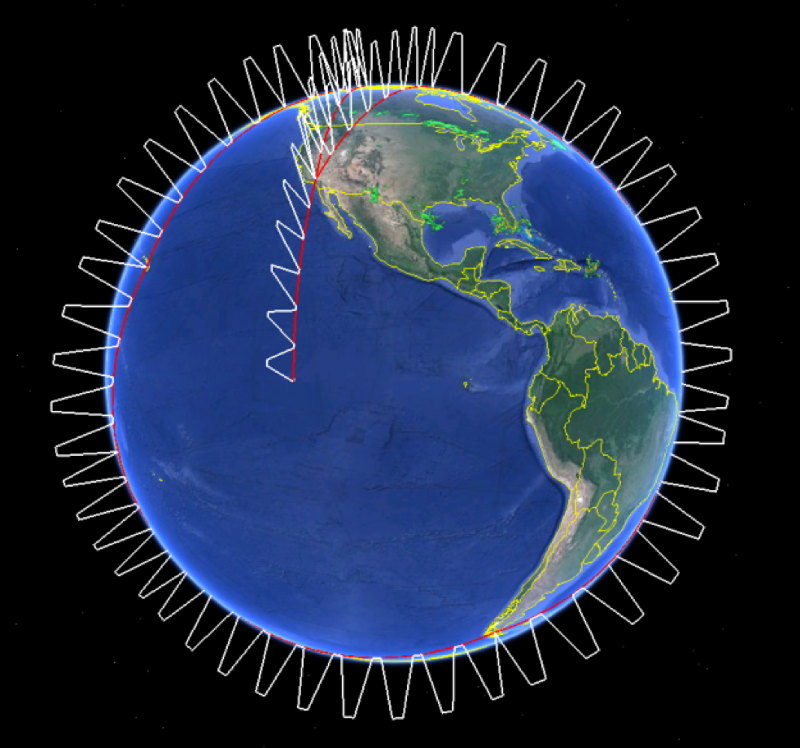 The Atmospheric Tomography Mission (ATom) aims to study the atmospheric chemical and climate impacts of anthropogenic and biogenic pollutants with a primary focus on impacts to methane, ozone, and black carbon aerosols. These three species are considered short-lived climate forcers, and mitigation of these particular species continues to be a major component of current international policy discussions. Over the next three years, ATom will travel around the world four times, once per season, with continuous ascents and descents to allow vertical profiling between 0.2 and 12 km altitude. The DC-8 will depart from Palmdale and travel north to the Arctic before journeying down the Pacific and back up the Atlantic with stops in Anchorage, Alaska, Kona, Hawaii, Pago Pago, American Samoa, Christchurch, New Zealand, Punta Arenas, Chile, Ascension Island, Lajes, Azores, and Kangerlussuaq, Greenland before completing the journey back in Palmdale. Our first deployment will set off on July 28 for a 26-day world tour. Articles and videos on the entire mission will be periodically posted by the media and communications team at NASA at www.nasa.gov/earthexpeditions. This blog will follow scientists from the University of Colorado Cooperative Institute for Research in Environmental Sciences (CIRES) and the NOAA Chemical Sciences Division (CSD) in the weeks leading up to our first take off and throughout the deployment.